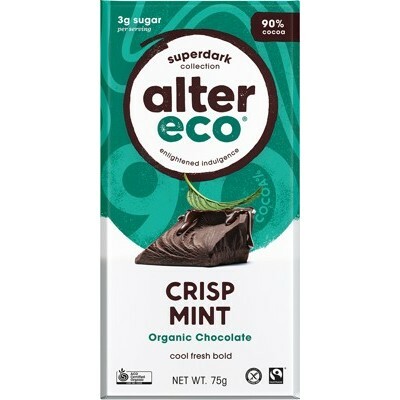 A delicious natural sweetener, high in magnesium and zinc. 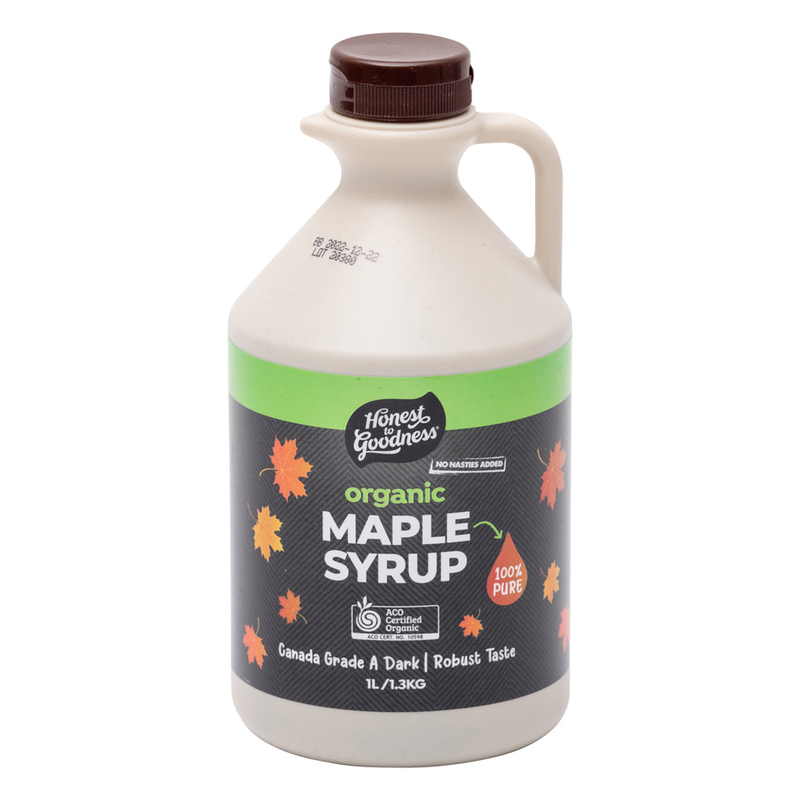 This 1 litre organic maple syrup is amber in colour and has a beautiful, rich maple flavour. 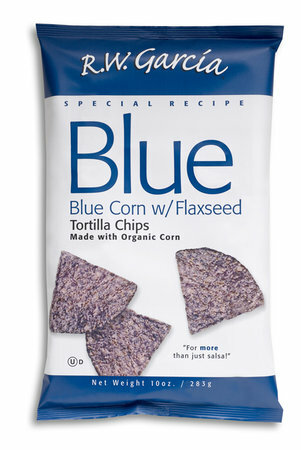 It is a great value size for the whole family to enjoy! This is graded (old system) Canadian Grade No. 2 Amber = (new system) Grade A, Dark Colour, Robust Taste, a typical maple syrup flavour. The Canadian Grading System is used as this maple syrup was produced in Canada. 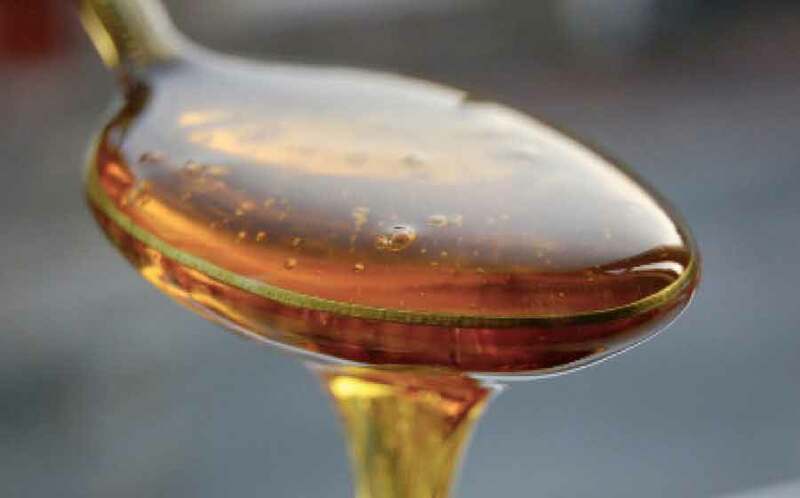 During early first harvest, lighter coloured syrup is extracted such as Grade A, Golden Colour, Delicate Taste maple syrup - a sweet, more delicate tasting syrup. 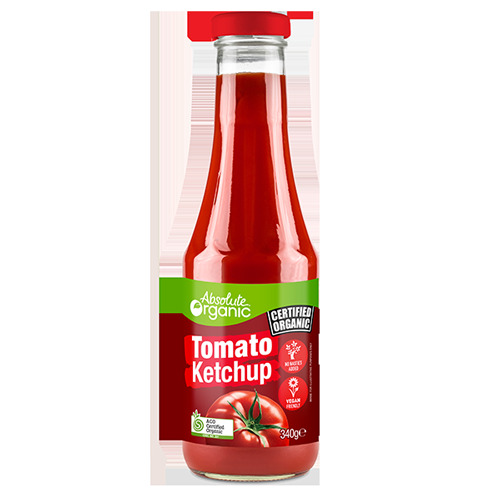 Then midway through the spring season the following grades are extracted: Grade A Amber Colour, Rich Taste and Grade A Dark Colour, Robust Taste which are the typical maple syrup flavours. Canada Grade A Dark Colour, Robust Taste maple syrup is slightly darker in colour than the first harvest. Still mineral rich - magnesium and zinc, with a heartier maple flavour, stronger taste than lighter Grade A Golden Colour, Delicate Taste maple syrups. 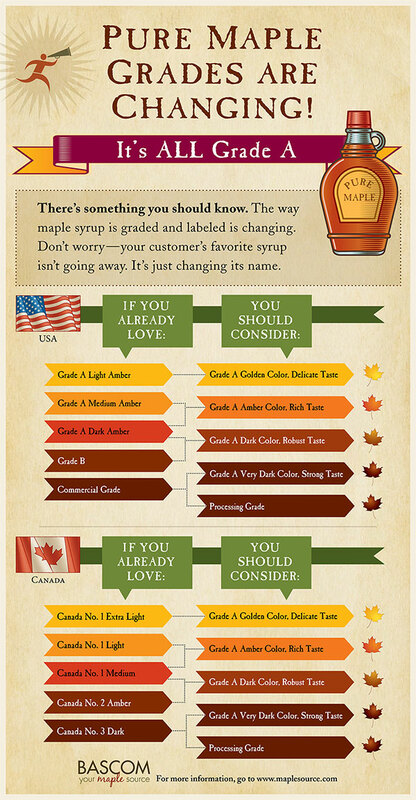 New Grading System: USA and Canada now have the same international standard for grading maple syrup. The new grades refer directly to the colour and taste of the sap, which varies throughout the sugaring season. Syrup produced earlier in the season tends to be lighter in colour and more subtle in flavor. Dark robust syrup is produced later in the season. As it has been for generations, the process to produce maple syrup is fundamentally the same across all grades. Remember, the new maple syrup grades only apply to pure maple syrup, not imitation breakfast syrups or other fake products. While “Grade B” no longer exists (it is replaced with Grade A Dark Color, Robust Flavour), there are still two primary grades of 100% real maple syrup with clear and helpful descriptors - Grade A and Processing Grade. *See the chart below for the grade change equivalents, colour, flavour and light transmission measures. Made from 100% organic maple syrup with no preservatives or additives. made from the sap of the sugar maple, a deciduous tree found in abundance in the Northeastern North America. The American Indians were the first to discover the secret of the maple tree by observing that red squirrels licked the sap off branches cracked by frost in winter. The warmth of the spring sun evaporated some of the water in the sap, making it even sweeter. How to enjoy: Organic maple syrup is a delicious natural sweetener. 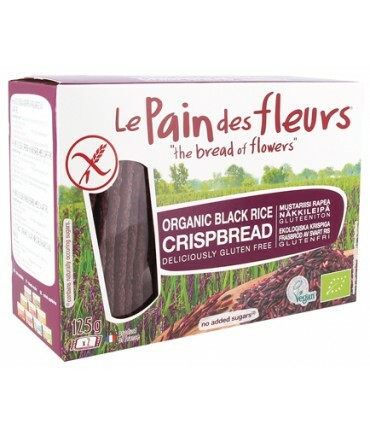 Use in baking, on waffles, crepes, pancakes, or on your cereal or yoghurt. Ingredients: Certified Organic maple syrup. Store: Best kept in a cool, dark place. 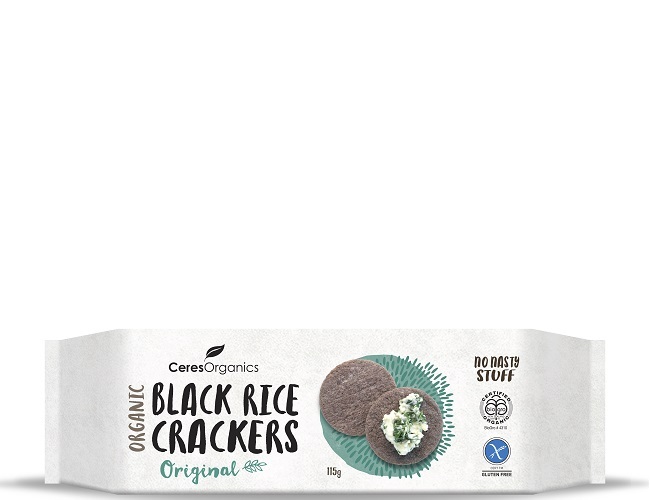 Once opened, keep in a well sealed container, in the fridge for optimum freshness.